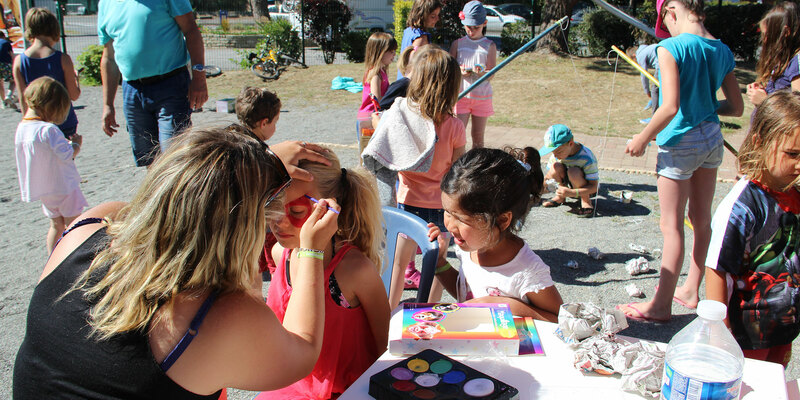 Whether it’s during the day or in the evening, whether it’s sports or creative, whether it’s for children or adults, there is no shortage of entertainment at the Campsite of the Domaine de Pont Mahé! Come and have fun with the family or friends in a warm and family atmosphere! With family or friends, there is entertainment for all! The lawn bowling tournament is not-to-be-missed! Come and play with your loved ones or other campers. The essential activity of the summer remains the pool – there’s nothing like a good swim in water heated to 28° C, from 10 am to 7 pm! 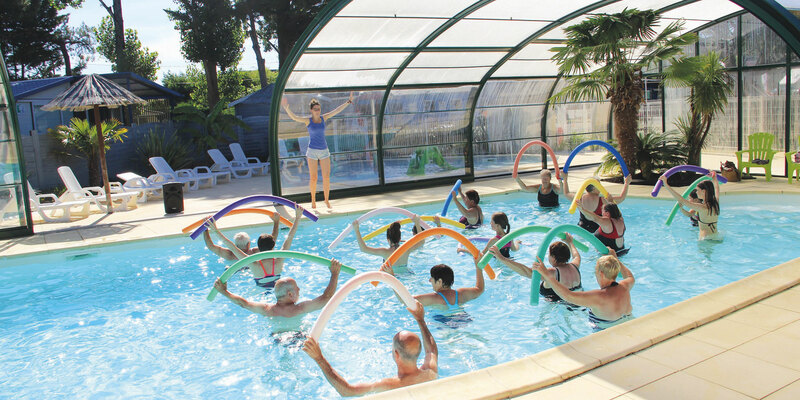 In addition, you can practise water aerobics and participate in water polo matches. 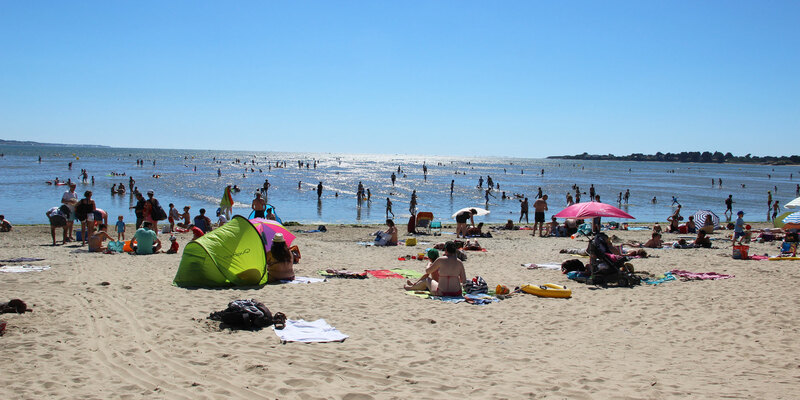 You can also relax on the Pont Mahé Beach located 250 m from the campsite. In July-August, after dark, the campsite offers you a very festive atmosphere! We invite you to meet us in the large concert hall located near the bar, where you will be transported into the heart of the campsite evenings with a family atmosphere and fun awaiting you. The youngest and the oldest will remember their holiday full of friends, laughter and memories at the Campsite of the Domaine de Pont Mahé in Assérac! Children love the Little Kitesurfers’ Club… and their parents do too! The BAFA team welcomes children in the morning, Monday to Friday in July-August from 9:30 am to 12 noon at the Little Kitesurfers’ Club (6 to 12 years), next to the pool. They will have fun in a world of recreation, sharing privileged moments and lots of creative and sporting activities! A playground is also available for children who can have fun with the spring rockers, climb up the spider’s web, roll and glide down the water slide !! Next to the pool, they can have fun jumping on the trampoline and will enjoy playing together on the ping-pong tables! For toddlers, we offer you a heated paddling pool with a little water slide and a water mushroom, ideal for everyone to enjoy the heated indoor pool! 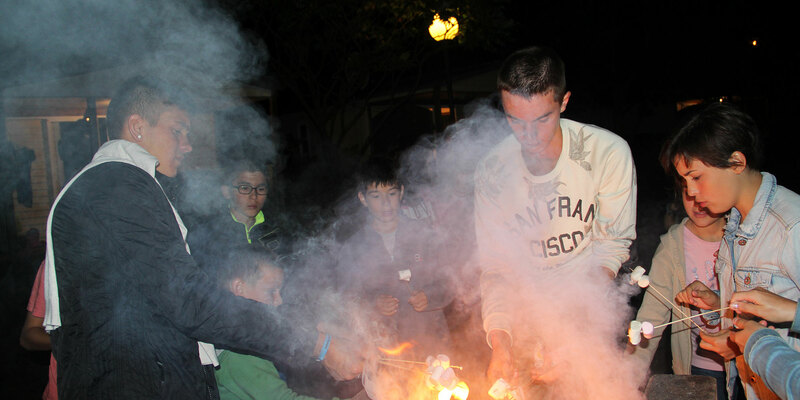 Activities during the day: parents, teens and children… There’s something for everyone! 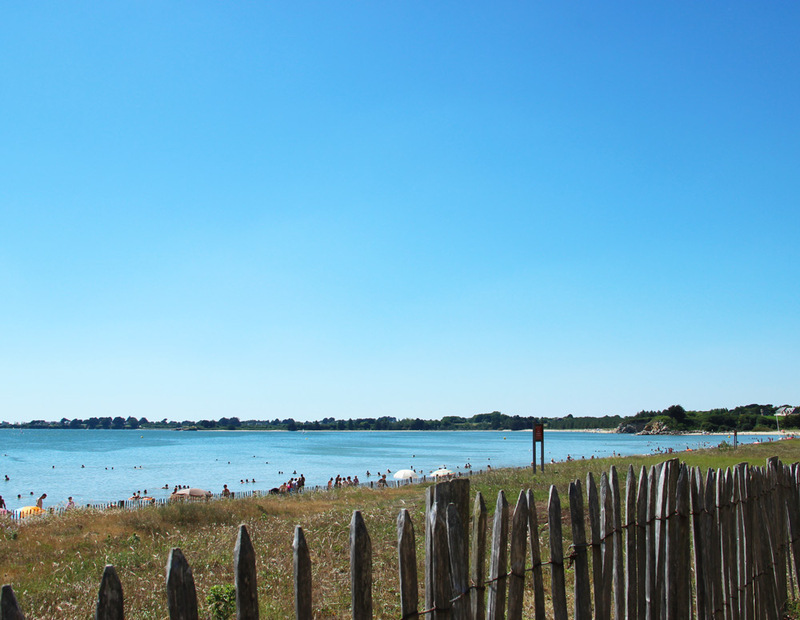 During the day, the campsite offers entertaining and recreational activities for the whole family in Pont Mahé!! Beach soccer tournament, if you’re interested and if there are enough players!!!! Every Wednesday afternoon, from 3 pm to 7 pm, go to the summer market located in front of the campsite. Here you will find fruits and vegetables from local producers, preserved meats and many other products from the region, as well as clothing and handicrafts. Discover the evenings at the campsite and experience intense, colourful moments in a family and festive atmosphere! You will take home unforgettable memories of your holidays in Assérac! In summer, the campsite offers entertainment 3 times a week, to extend the day for holidaymakers with joy and good fun. From 9:30 pm to 12:30 am, everyone meets in the large auditorium located near the bar. Every season, the campsite offers activities that are renewed with the inspiration of our animation team!